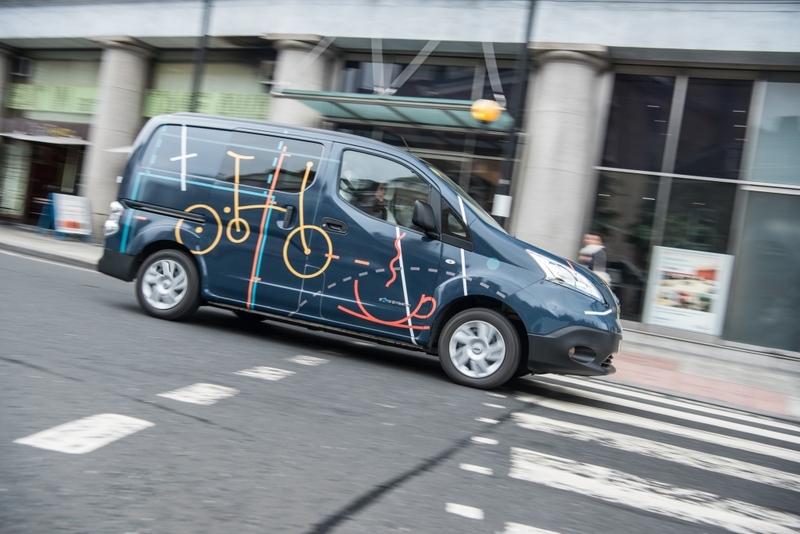 Dubbed the Nissan e-NV200 WORKSPACe, the unique and well-stocked mobile headquarters is based on the all-electric Nissan NV200 van and features an integrated fold-out desk, touchscreen computer and wireless internet. There’s also smartphone-controlled LED lights, wireless phone charging, a Bluetooth audio system, a mini fridge and barista-quality coffee machine packed inside. According to the Japanese marque, the number of co-working spaces and hot-desking establishments rose by 36 per cent during 2015 and the need for a flexible place to do the daily grind is now greater then ever. Arguably an overblown solution to a problem that doesn’t really exist, the Nissan WORKSPACe has to be praised for its craftsmanship, which is all down to Studio Hardie. 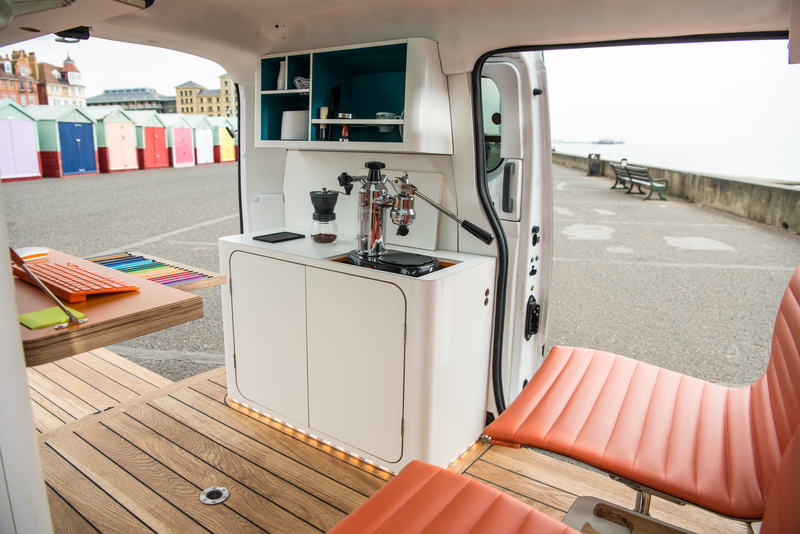 You may have seen some of their other creations crop up on popular TV show, <George Clarke’s Amazing Spaces> and, like those projects, the van is beautifully finished with the finest woods and other materials liberally applied. In addition, there are numerous clever touches, such as an NFC charging tray for compatible devices and the pullout workstation, which can be stowed while travelling or to free up space for impromptu meetings. “Given the van’s green credentials we wanted to maximise the space with smart and considered features such as sustainably sourced materials and efficiently-powered technology,” explains William Hardie, owner of the UK-based design firm. This may not be the future of workspaces (for now) but we’d love to pull up to the nearest beach, fire off a few emails, head into the water for a surf and then get back to work, knowing we haven’t missed a thing and the boss is still happy.